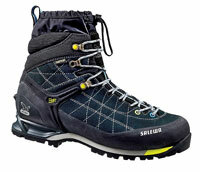 The MS Snow Trainer Insulated GTX by SALEWA is the perfect boot for winter trekking's harshness: It's warm and exceptionally light, and its outsoles are made of a unique grippy rubber that stays pliable in the cold. In the coldest heart of winter, anyone who skis, snowshoes, or hikes will still work up a sweat. 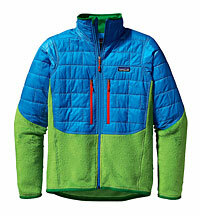 Which is why the Nano Puff hybrid jacket from PATAGONIA is designed to stay warm even when wet. Ever since THERM-A-REST debuted its NeoAir line of sleeping pads, it has become the brand of choice—nothing else on the market will keep you as warm or as comfortable. 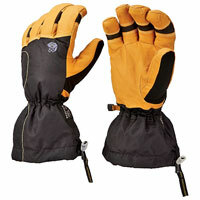 Even high-loft hand covers cause a chill when moisture freezes on the outside. So MOUNTAIN HARDWEAR utilizes a technology called OutDry in its Jalapeno Gloves to prevent moisture from penetrating and turning your hands into painful blocks of ice. MSR's Lightning Ascent snowshoes integrate the frame with the claw that bites into the snow, dropping overall weight (a pair is 3 pounds, 15 ounces) and distributing it more evenly. In warm weather, most stoves run like jet engines because ambient heat helps maintain canister pressure. But as the mercury drops, so does that pressure. The BIG AGNES String Ridge 2 comes with a fly (3 pounds, 11 ounces, with poles) that can be set up as its own floorless tent, which saves weight but still offers wind protection. Snow can slash the effectiveness of any insulation. So the Zissou 0 (as in zero degrees) sleeping bag by SIERRA DESIGNS has a water-resistant fill called DriDown. Even in winter, synthetic base layers can start stinking. But BodyFit 200 lightweight leggings by ICEBREAKER stay smell-free thanks to merino wool's natural odor-resistant properties.